Beijing University of Chemical Technology (BUCT)Founded in 1958,it is one of China’s key institutions directly under the Ministry of Education.Center of international education of Chinese language started to recruit short and long term language students since 1993. Until now, there have been over 5000 overseas students from about 70 countries and regions studying Chinese language and culture in BUCT. Many of them come from Canada, Equatorial Guinea, Thailand, Saudi Arabia embassy or ambassador politicians and their relatives. In two decades we have become a center for language scholars, undergraduates, post-graduate and doctoral students. Founded in 1958, Beijing University of Chemical Technology (BUCT) is one of China’s leading universities directly under the Ministry of Education. As a key contributor in both the national ‘211 Project’ and the ‘985 Advantage Subject Innovation Platform,’ BUCT has made profound basis in the core fields of science and technology as well as integrated the academic disciplines of management, economics, law, the liberal arts, education, philosophy, and medical science to its curriculum and comprehensive outlook. BUCT has formed the multi-layer personnel training pattern ranging from undergraduate education to postgraduate education, doctoral education, postdoctoral research station, and the education for international students. BUCT provides standard dormitory (double/single room). Each room has its own private washroom, television to keep students informed of what is happening outside BUCT, own Wi-Fi/Internet access, electric water heater, sturdy beds, study tables, wide inbuilt closets and shelves for the students’ personal things and books. The dormitory is well designed to ensure students who study at BUCT to enjoy a comfortable living environment. 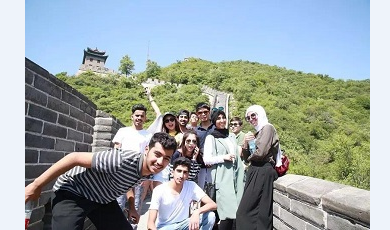 Students can enjoy free Chinese culture classes such as Calligraphy, paper cutting, Chinese knot, martial arts(eight times for one semester) The students can also enjoy a study tour in Beijing every month to visit scenic spots and historical sites including the Imperial Palace, Great Wall and Summer Palace etc. Besides, BUCT organizes colorful student activities each semester including academic activities like character contest,, speech contest and composition show etc. and recreational and sports activities like New year party, Christmas party, photography competition, Chinese karaoke and Badminton etc. BUCT provides pick-up services for exchange students. 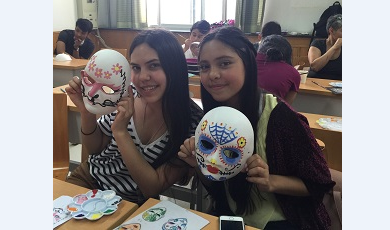 Calligraphy, Face painting, Chinese knot, painting, paper-cut, martial arts, tie-dye, etc. In line with the HSK, especially set HSK tutorial. *Choose any one of the following methods to apply. Ⅱ.Admission notice, passport, photos (2-inch, full-faced, half-length, bareheaded, white background) and other necessary materials. *The following tips are for language program applicants. 1. New students will take the physical examination. 2. Foreign health certificate is acceptable, but only valid when verified by China’s health and quarantine department. 3. Students with F visas or Chinese passports do not have to take the physical examination. •Copy of diploma or certificate of the last school you have attended. •High school academic transcript. If you have also attended any secondary or post-secondary schools, please send us the transcripts of the schools that you have attended. HSK test results. •Photocopy of Foreigner Physical Examination Form (printed by Chinese quarantine authority). The medical examinations must cover all the items listed in the Foreigner Physical Examination Form. Incomplete records or those without the signature of the attending physician, the official stamp of the hospital or a sealed photograph of the applicants are invalid. If you are a current student at one of China’s universities, please present a certificate agreeing to your transfer from its office of international students. Note: Documents in language other than Chinese or English need to be translated in to Chinese or English. Winners of the “Dean Scholarship”, will receive a "certificate of honor" issued by the university and high scholarship. Founded in 1958, Beijing University of Chemical Technology (BUCT) is one of China’s leading universities directly under the Ministry of Education. 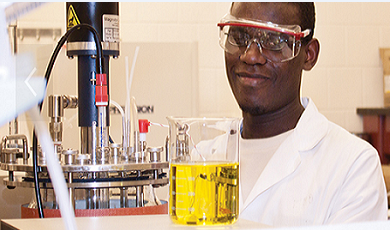 As a key contributor in both the national ‘211 Project’ and the ‘985 Advantage Subject Innovation Platform’, BUCT has made profound basis in the core fields of science and technology as well as integrated the academic disciplines of management, economics, law, the liberal arts, education, philosophy, and medical science to its curriculum and comprehensive outlook. There are 14 colleges at BUCT, including College of Chemical Engineering, College of Materials Science and Engineering, College of Mechanical and Electrical Engineering, College of Information Science and Technology, College of Science, College of Economic Management, and the College of Humanities and Law. 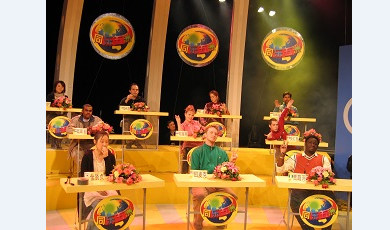 BUCT started to recruit international students since 1993. Until now, there have been over 5000 overseas students from about 60 countries and regions studying Chinese language and culture in BUCT. ☆ Domestic, well-known experts and senior professional Chinese teachers will ensure high quality lessons. ☆Small-classes, which ensure that the teachers will take a positive and effective teaching method to improve the students' ability of language expression. ☆Featured study tours. In an attempt to approach the excellent history of human culture, visiting historical sites in different civilizations of the world offer students a unique opportunity for learning Chinese and gaining a deeper understanding of the Chinese culture and history. ☆ High Quality Facilities, Personalized services. 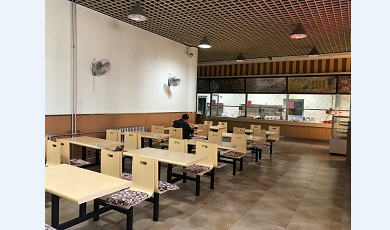 ☆Superior facilities, thoughtful teaching and living services, as well as efficient transportation and easy commutes, near the embassy area, CBD business circle , Tian’ an men Square, the Forbidden City and other famous attractions. ☆Non-degree program credits will be granted. Cultivate the students' listening and speaking skills in Chinese. Enable students to master vocabulary and grammar of business communication. Also provide the chance for visiting China companies. The course is set for two weeks and can be customized for the prospective students or groups needs or convenience. Cultivate the students' Chinese listening and speaking skills. Enable students to master vocabulary and grammar of daily life communication. Create a real language communication environment combining with the Chinese culture experiences and Beijing tourism activities. Organize various cultural tours, visit ancient history, and improve the understanding of different cultures. 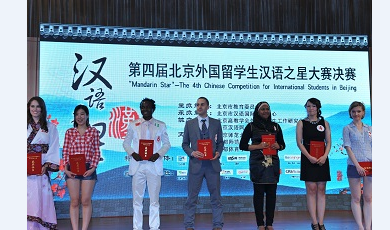 The program includes academic courses, Chinese cultural lectures, cultural experience and corporate visits.Academic courses enable students to study a variety of hot topics such as New Energy, Environment, Chemical engineering and combine this with the Chinese culture experience.We also arrange corporate visits to set up foreign students with Chinese outstanding enterprises zero distance communication platform, to strengthen the foreign students understanding of China's modern technology and enterprise management level. The tuition fees will negotiated by both parties according to the actual circumstances of the learning time and course requirements.